MOSCOW, March 27. /TASS/. 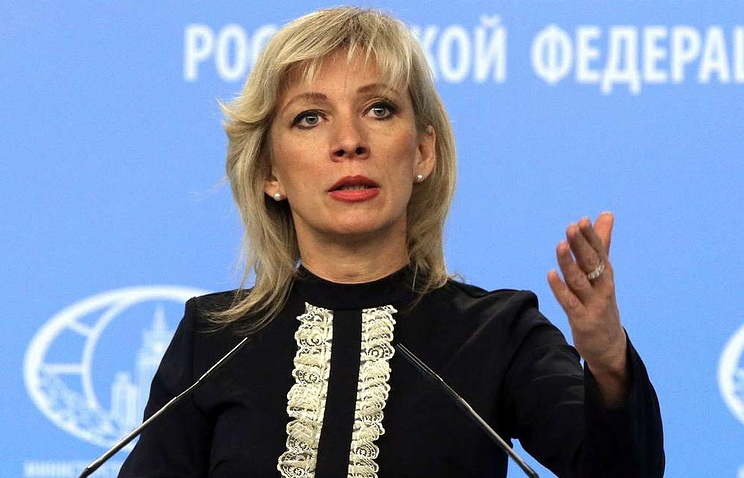 US journalists, who have been making groundless accusations against Russia of the 2016 US presidential election meddling, should now apologize to the domestic and Russian audience, Russian Foreign Ministry spokeswoman Maria Zakharova said on Tuesday evening. "We are now referring to a team of propagandists… who style themselves as journalists - now they need to make their apologies. I’m not speaking about their feelings toward [US President Donald] Trump, the decision on whether they should apologize to him is their domestic matter. However, all this media ragtag, which has been at the forefront of anti-Russian news reporting in the United States, will need to apologize to the US audience and, naturally, to the Russian [audience], to the whole country," she said during the ’60 minutes’ TV show on the Rossiya-1 channel. She said that Moscow would analyze anti-Russian propaganda reports and TV show footage, in which the media tried to persuade the US audience of Trump’s non-existent ties with Russia, and will forward them to international organizations for further analysis. "Everything will be duly compiled and send wherever needed, to the OSCE and all other organizations, and will be made public for the general audience. I think the world should know its heroes," she said. Earlier, Trump also criticized US mainstream media for their coverage of Russia’s alleged interference into US elections in 2016. On March 24, the US Department of Justice presented a report on the investigation launched by Special Counsel and ex-FBI director Robert Mueller in May 2017. It found no evidence that the Trump campaign team "had conspired or coordinated" with Russia to influence the 2016 presidential election. However, the report alleges that Moscow tried to influence the election through its Internet Research Agency (IRA) and via hacker attacks. Trump and his aides have repeatedly rejected all allegations of any illicit contact with Russian officials during the election campaign. Russia has also repeatedly denied all allegations that it had attempted to influence the US election.